Please help me get the job that I am waiting to hear back from. I will always be grateful for this blessing and vow to work harder than ever to ensure that I achieve success in this position. I will work honestly with intregrity and with all my heart. I believe that this job will suit my abilities and will give me the opportunity to showcase my talents that have been graciously given to me by god. Thank you for all your support and success that I have achieved over the years and now I am just looking to broaden my outlook and step outside my comfort zone and achieve success in a challenging field. I pray that you will interceed for me to god to help and ensure that I am selected for this job. With a humble heart I pray to you, Jesus and Mother Mary to ask god on my behalf for this blessing. Eternal everliving God, You are my creator and mine is your image. You have blessed with me a beautiful life to cherish. In a special intention I beg you to bless my hands labor and specially seek your divine intervention on the job that is on the process. May your tongue speak before them and make me a successful labor in the company that job process is on bless all the people helping me to get this beautiful job. I am sure with a few days with the power of the holy spirit this job be mine with the required rewards I am looking for. Lord I believe you have already performed miracles in my life and this is not a big task in your hands. I offer this job unto your hands fulfill my desire and the life thereafter to come a successful one. This I ask your only son who lives in this and world and heavens above. The topic of finances and work can be a constant worry to some because it makes up such a large part of our daily lives. There is stress in not making enough money, fear in losing a job, jealousy in seeing someone else’s accomplishments when you’ve worked just as hard, and weariness in a taxing, underappreciated position. Sometimes you just want to quit and do something else. Other times you need something, anything to support yourself and your family; yet, opportunities seem scarce. Whether you’re miserable at your current job or are unemployed and searching, your first reaction may be to try and take control of the situation. When we try to control the situation ourselves, we tend to get stressed easily and may begin to feel down when we don’t see the results we want. What we need to do is to take our impatience, our longing for blessing, our desire to support loved ones, and our hurt from the workplace and put it at the feet of the only One who is in control—Jesus, our sovereign Savior and King. We have a God who can relate, and he is a God who wants to hear from us even in our most trying moments. Our heavenly Father knows everything that’s going on in our lives, but he still wants us to seek him and confide in him. 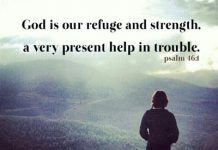 He wants us to trust him that he will hold us close no matter what turns our lives may take. Use this prayer for employment to speak powerful words of belief and hope over your life. You know my needs. You know my desire for a job, for work I enjoy doing, for the next step in my career to present itself. I pray that you would guide me as I continue on this job hunting journey. May I focus first on your will for my life, putting your desires and your plan above my own wishes and wants. Open doors to new opportunities that you desire for me, and equip me with the skills, knowledge, and wisdom I need to take steps forward in this process. As I craft my resume, write cover letters, submit my applications, connect with new companies and potential employers, and go on interviews, give me the words to speak and the courage to share who I am and what I can do. Give me confidence that can only come from you, and give me humility too. 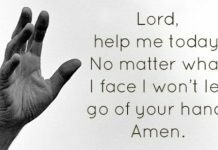 I trust you, Lord– my life is in your hands. Your will be done. Thank you for being near to me every step of the way and thank you for always providing for my every need. May this all be for your glory. When you have a rough day at work and you just don’t understand how your co-worker or boss could have said something so rude to you, when you feel like you put your best in but you keep getting corrected, and when you did everything that you were asked but the company let you go…remember the gospel. Remember that Jesus died so that you could have life, remember that Jesus said this life would be challenging, and remember that Jesus said he would never leave you. Thank God for his presence in your life, then pray for every person that let you down or hurt you; pray that God would open their minds and their hearts to have the same gospel hope that you do and forgive them. “Paul wanted people to see Christ more clearly, and he knew that God’s power would accomplish that. The gospel is the power to change people (see Ro 1:16), and when people see Christ more clearly, they are empowered to live and act as God intended. Thank you and praise your name for blessing me with my job. Today, before I enter the work place I pray that You would saturate the atmosphere with Your Spirit, Your Presence, Your Peace, so that everyone works there or come into the area may sense and feel Your Spirit. When I am faced with challenging situations or difficult people at work help me to not react negatively, but help me to remain calm as you speak through me, think through me, and love through me. Bless me to have a respectful and good relationship with all those in whom I work. May we work together in harmony, collaboratively, respecting each other’s opinions and differences. May we celebrate our agreements and disagree amicably on our differences, allowing no division or strife among us. As I go each day to the job You have provided, help me to let the light of Jesus Christ shine so much through my life, that others around me may see the light of Christ and want You too. Help me to stay away from derogatory conversations, course ungodly jokes, gossip, or anything that would be a reproach upon You, or my life as a Christian. Help me to be an example of Christ always reflecting truth, integrity, righteousness, and the peace and love of God in all I say or do. Christ glorified!!! Open doors for me to share the Gospel to those around me on my job. Speak the words through me, as you move on their hearts to accept Jesus Christ as Lord and Savior. May all those in authority in my work place have the wisdom of God in how to operate, orchestrate and manage. I ask for no less than Godly favor for all of the believers as a demonstration of your blessings to those who belong to Your family of faith. In Jesus Name, thank you in advance for your eternal love and rich blessings on the job.